Category: Ripley's Believe It or Not! 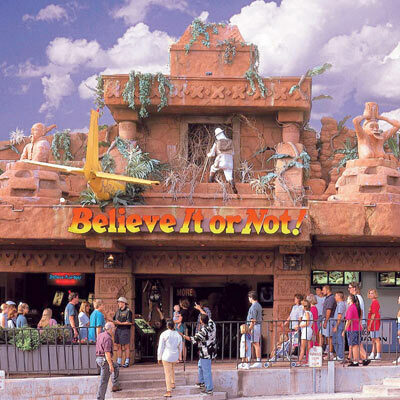 Ripley’s Believe It or Not is an 8,500-square-foot Odditorium of bizarre adventure and discovery. Featuring three floors with eleven amazing galleries, you will experience puzzling illusions as you examine a large eclectic collection of odd and interesting relics. There are galleries with hidden artifacts. Some you find through exploring and others you find by discovering and pressing a secret symbol. You must see it to believe it!